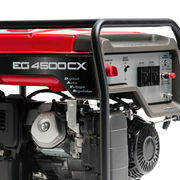 This Honda EG4500CX generator is no exception to the reliable and powerful products made by Honda. 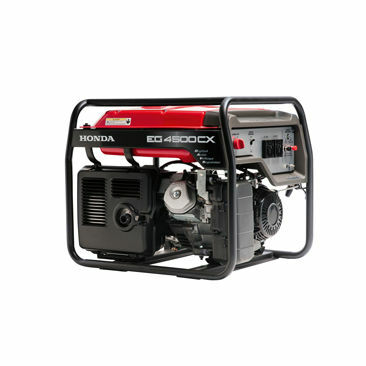 Fitted with Honda's easy start technology which makes starting your generator so much easier, even if it has not been run for a long period of time. Buying a Honda also means 4-stroke technology so theres no annoying fuel mixing required. Just straight unleaded. 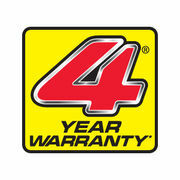 The Honda GX340 engine runs the EG4500CX with huge fuel efficiency running for 9.5hrs continuously under operation. With a max output of 4500W (240V) AC & 8.3 amp (12V) DC. Equipped with Honda's Digital Auto Voltage Regulator which apples a micro computer to accurately control the voltage output for high quality stable electricity. 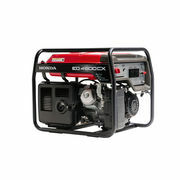 This as a result reduces the load on the devices run by this generator increasing their life span significantly. 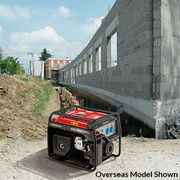 At only 82.5kg and protected by a convenient frame this generator can be easily transported a rounded the job site. With safety a top priority of Hondas the AC & DC components both have circuit breakers for your peace of mind. And as per usual this Honda product comes with a 4 year domestic warranty and 1 year commercial warranty and Honda backs their products to succeed and so should you!